Some days back a national survey proved that trains to Bihar and Uttar Pradesh remain most delayed throughout the year. With an average delay of 61 minutes for Bihar and 56 minutes for Uttar Pradesh, travelling through these two states is indeed taxing on patience. But what is the cause of such abnormal delays? Today, we thought of probing into them. More than 80% trains to Bihar and all trains to Uttar Pradesh pass through the infamous Allahabad – Kanpur – Mughal Sarai corridor. Over the years, these three major junctions have been well known to cause massive delays for trains. They are always handling more trains then their capacity. And the situation gets worse each year with the addition of new trains. Check your station’s on-time rank yourself. As you can see, when you enter into this corridor you are assured of a minimum delay of 1 hour. And this one hour, often impacts the end journey time of a train, especially those to Bihar and Uttar Pradesh. 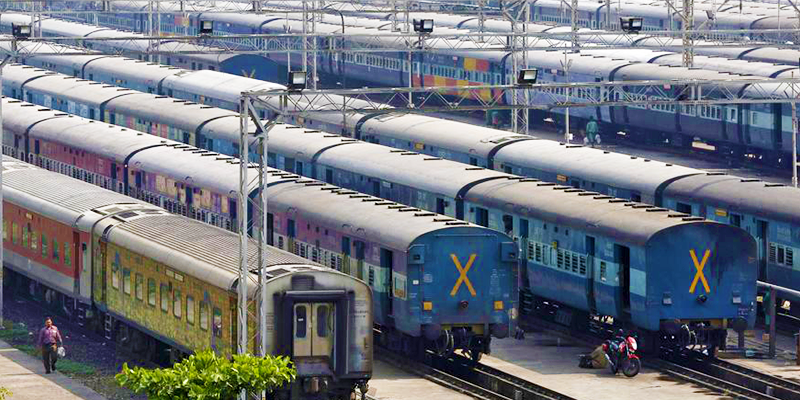 Allahabad – Kanpur – Mughal Sarai route tackles more than 500 long distance trains in any typical day. Apart from that it is also an important route for freight carriages and hundreds ply along this route. So, a delay in this belt causes nationwide ripples. Being the preferred route for West Bengal and Bihar bound trains a delay here can cripple all the trains in these two key states. If more than 75% of trains to Bihar run with extensive delays, this corridor is mainly at guilt. 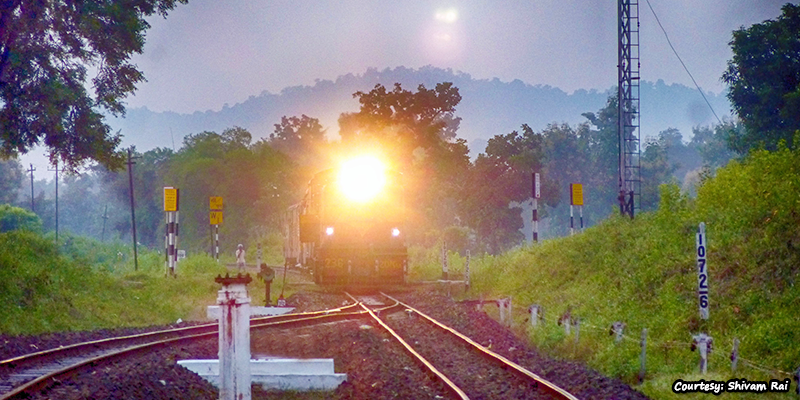 Trains to South India are known to be more timely; one reason could be they seldom cross this stretch. 80% of delays for Premium trains such as Rajdhani, Duronto & Shatabdi are caused by this stretch. Passengers who are really positive in their thinking would say: “Okay, so the train has been delayed by one hour, but the train can always manage the time!” Let us correct you: it is not so easy for a train which has been delayed, to really make up for lost time. 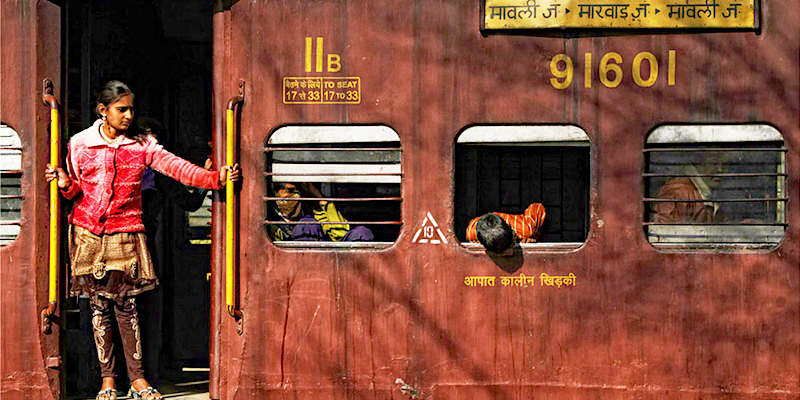 In India, there are always more trains than vacant lines available. So, in 80% of instances (with the exception of Premium, Superfast, Rajdhani and Duronto) once you are delayed, the delay time will just keep on increasing due to the lack of open signals. 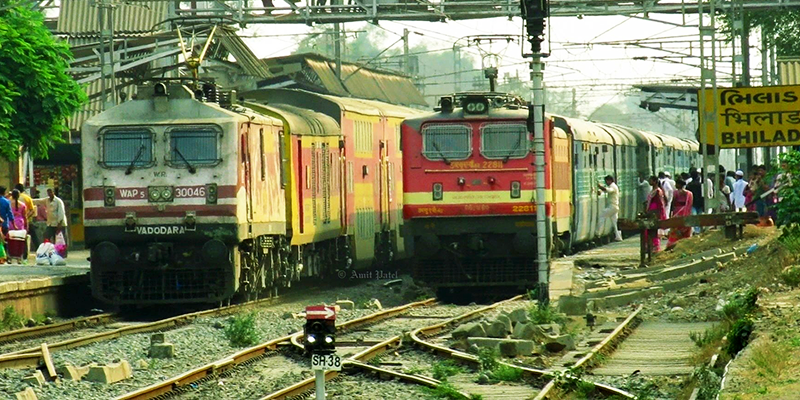 Which means 68 mins of delay, suffered in Allahabad – Kanpur – Mughal Sarai corridor, can cause more than 2 hours of delay in your end train schedule. Just like other years, Indian Railways will definitely announce a large contingent of special trains to combat the Chhath and Diwali rush. This means, the Allahabad – Kanpur – Mughal Sarai corridor which is already struggling to support their existing list of passing-by trains would be put under more stress. So, the average delays for trains across Uttar Pradesh, Bihar and West Bengal could go up by more than double during the festive season. There are some problems that the Indian Railways has overlooked for many years, and Allahabad – Kanpur – Mughal Sarai corridor is one among them. Good Information… thanks for a nice write up.. I use to travel to this route kanpur-Allahabad-Mugal sarai while traveling from Delhi to Howrah but what I strongly feel that once train passes mugal sarai , the real nightmare starts in rerms of delay and unlawful travel by daily passengers throughout danapur division from buxar to jhajha. They board even in 3A and 2A and forcefully sits on alloted births. On many occasions i have seen them fighting with passengers. Train continues to stop even on halts untill reaches Patna. This happens on 99%occasions. TTE and GRP looks helpless or willingless. This has given me the strong feeling that danapur division is the worst division in India. Local passengers and delay both are equal problems and railway must address this. Yup,though I belong to Bihar,I support your views as correct basically whole Northern Belt is notorious for this,people take pride in travelling higher class but taking tickets of low class,its lack of civil sense than train in these routes. The problem of daily passengers is due to non availability of local trains and more over these trains are also keep sunted intensely for fast trains.So local passengers are forced to travel in long distance trains. Railway should keep more forces to keep rules straight, seen premises of people demolished to get government work done but what a big deal in keeping more forces to stop unruly and messes. Railway only to blame to keep acting kumvakaran on this. Which station has got Rank#1 for on time ? I found Miraj on 2nd. But not able to find #1. All signals should be upgraded and railway have to hold their employees responsible for the delays. If they are on time many other works including signalling for trains would be timely. An important information thanks !! Useful information..all these years i was thinking what is wrong with the trains when it enters UP, why it gets too late always. Hopefully Indian railway could come with a solution maybe by increasing railway tracks. Varanasi and Allahabad both are major railway stations. But maximum people prefer to travel by Bus because there are very few trains and also it takes more time by train and also the trains are often late due to single track and lots of congestion. I hope indian railway will come up with the solution of this very soon. So what is the solution from the government to avoid these delays? instead of spending crores in high speed trains railway must improve here by making 4 lines as it is there in kolkata mumbai route. I am currently on a train from Mumbai to the north east and it only crosses Mughal Sarai out of these three listed cities and yet it’s almost two hours late before even reaching Katihar. I wonder when will it reach the north east!! All the destination passengers after UP and Bihar has to suffer from this delay. Why can’t anything be done about this. Every time you can’t take a flight, sometimes you have to travel by a train. One big solution can be by creating alternate stations in kanpur,allahbad and mughal sarai. because many times trains don’t get platforms empty. even the stopage time should be shortened here. and some long distance trains should bypass the platform ;lanes and go through.